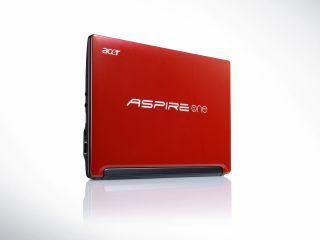 Acer Aspire One D255 - comes in red, don't you know? Acer has announced the arrival of its latest netbook, the Aspire One D255. Not only does the D255 boast an Intel Atom dual core processor, the netbook also comes packing a 250GB hard drive, eight hours' battery life and Wi-Fi capabilities. There is also an in-built webcam called, rather mystically, the Acer Crystal Eye webcam. And, if you fancy it, you can add 3D connectivity to the package. The netbook is being labelled as ultra-thin at 28mm and has a screen size of 10.1 inches with a resolution of 1024x600. They keyboard isn't quite full fat but at 93 per cent it should stop even the fattest of fingers from pressing the wrong keys. The Aspire One D255 is available now for £279.99. If you feel like this is too much power, then the Aspire One D255 is also available with a single core Atom chip for £229.99.